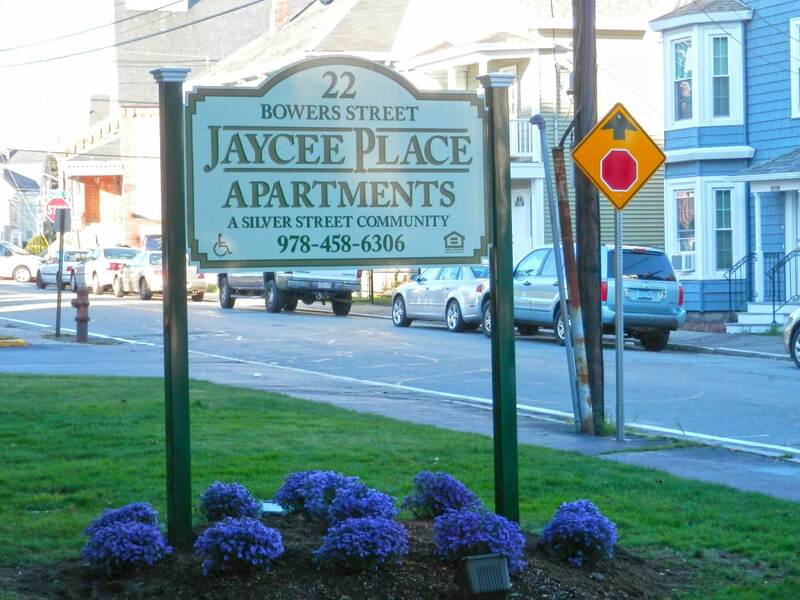 Just minutes from the picturesque Merrimack River, Jaycee Place is an apartment community offering one and two bedroom apartment homes in Lowell, Massachusetts. Flush with history, Lowell is known as the cradle of the Industrial Revolution in the United States, and many of the city’s historic sites have been preserved by the National Park Service. With its convenient location, Jaycee Place residents enjoy easy access to both Lowell’s past and present day amenities from UMASS Lowell, to the American Textile History Museum, to LeLacheur Park, to the Lowell National History Park. Professionally managed by Housing Management Resources, Inc., Jaycee Place offers a variety of amenities including: air conditioning, cable ready, emergency pull cords, intercom systems, large closets, fully equipped kitchens with stove, refrigerator, microwave, dishwasher, and garbage disposals, wall to wall carpet, elevator, 24 hour maintenance, on-site management, on-site parking, landscaped grounds, community rooms and events, and a laundry care facility. So what are you waiting for? Affordable living in a warm & welcoming community is right around the corner! Contact our on-site staff to schedule a tour of your new home at Jaycee Place today! Just minutes from the picturesque Merrimack River, Jaycee Place is an apartment community offering one and two bedroom apartment homes in Lowell, Massachusetts. Flush with history, Lowell is known as the cradle of the Industrial Revolution in the United States, and many of the city's historic sites have been preserved by the National Park Service. With its convenient location, Jaycee Place residents enjoy easy access to both Lowell’s past and present day amenities from UMASS Lowell, to the American Textile History Museum, to LeLacheur Park, to the Lowell National History Park. Professionally managed by Housing Management Resources, Inc., Jaycee Place offers a variety of amenities including: air conditioning, cable ready, emergency pull cords, intercom systems, large closets, fully equipped kitchens with stove, refrigerator, microwave, dishwasher, and garbage disposals, wall to wall carpet, elevator, 24 hour maintenance, on-site management, on-site parking, landscaped grounds, community rooms and events, and a laundry care facility. So what are you waiting for? Affordable living in a warm & welcoming community is right around the corner! Contact our on-site staff to schedule a tour of your new home at Jaycee Place today!